Ken Rae, CFA - Rae & Lipskie Investment Counsel Inc.
Ken began his investment career with Canada Permanent Trust in Toronto. In 1968 he moved to Waterloo and worked for Mutual Life and Dominion Life managing large multi-million dollar portfolios. In 1985, Ken founded and subsequently sold Advantage Investment Counsel, commonly known as AIC. 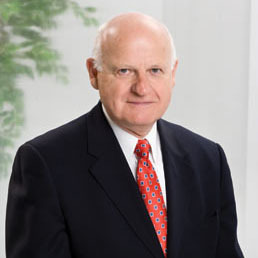 In 1988, he founded Kenneth Rae Investment Counsel Inc, which later was renamed Rae and Lipskie Investment Counsel Inc. Ken’s investment acumen via this 25 year period allowed him to hone his skills and fine tune his insights on the broad universe of the investment industry and the investment process. In his current role as Chairman of The RaeLipskie Partnership, Ken counsels on the firm’s big picture, strategies and provides the calm and sage advice so critically sought in today’s noisy landscape. With Norah, his loving spouse of over 50 years, Ken chooses to spend his leisure time travelling, skiing, biking, curling and most of all semi-obsessing over tennis. No sudoku puzzle is safe in his presence either. He spends the majority of his philanthropic and charitable time at The KW Art Gallery, KW Symphony, CBA and Gyro. His prowess at choosing great red wines and making gazpacho is apparently indomitable.